This community of creators, however, was inherently incompatible with the totalitarian state. By the late 1930s it became effectively written out of histories, wiped out from text books. Many of their ideas and inventions, considered as utopian at that time, were decades later rein¬vented abroad. We still use them today not knowing their origin. 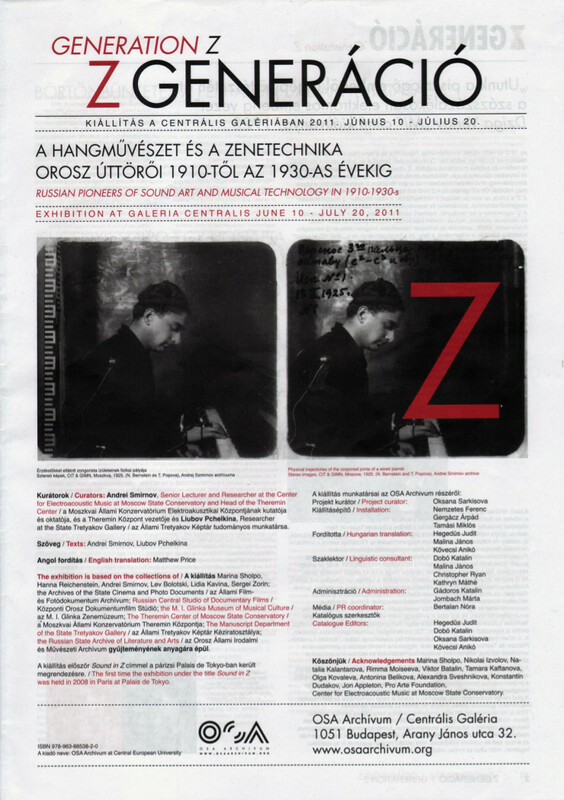 This booklet was produced for the Budapest edition of a traveling exhibition curated by Andrei Smirnov of the Theremin Center and Liubov Pchelkina of the State Tretyakov Gallery.